Oedema: Adults. Treatment of oedema associated with congestive heart failure, cirrhosis of the liver and renal disease, including the nephrotic syndrome. Frusemide Sandoz is particularly useful when an agent with greater diuretic potential than that of those commonly employed is desired. Hypertension: Adults. Oral Frusemide Sandoz may be used in adults for the treatment of hypertension alone or in combination with other antihypertensive agents. Hypertensive patients who cannot be adequately controlled with thiazides will probably also not be adequately controlled with Frusemide Sandoz alone. 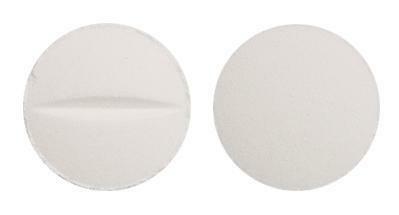 White, round tablets, slightly convex with a score notch on one side. Treatment of oedema associated with congestive heart failure, cirrhosis of the liver and renal disease, including the nephrotic syndrome and as an adjunctive therapy in acute pulmonary oedema and cerebral oedema. Parenteral therapy with frusemide (furosemide) should be reserved for patients in emergency clinical situations, or for patients unable to take oral medication or if gastrointestinal absorption is impaired. Oral formulations of frusemide (furosemide) should be commenced as soon as practicable.